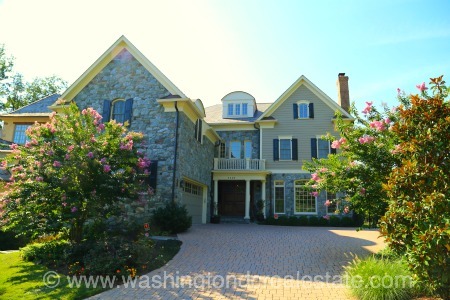 Berkley is a secluded neighborhood located in the Northwest quadrant of Washington, DC. The enclave draws its peaceful setting from the parkland surrounding it on three sides. Berkley's isolation has given it a bit of an identity crisis as it is frequently mistaken for a development in the Foxhall and Palisades neighborhoods which border Berkley to the East. Berkley is also sometimes called Foxhall Crescent based on a housing development located within its boundaries. Properties in Berkley are upscale and in short supply. Community landmarks include the Germany embassy as well as the Mt. Vernon campus of the George Washington University. To the North, Berkley is bounded by Wesley Heights Park with Battery Kemble Park to the west and MacArthur Boulevard to the southwest. 44th Street and Foxhall Road lie to the East with Archbold Glover park just beyond the line.